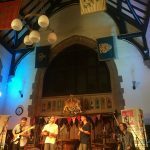 Gathering Tides have a completely fresh approach to traditional and contemporary music from around the world. 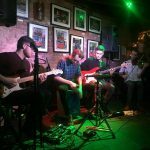 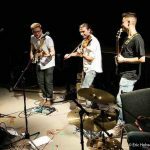 Weaving together folk, jazz, rock and more, this young and innovative band transcend genre labels. 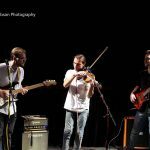 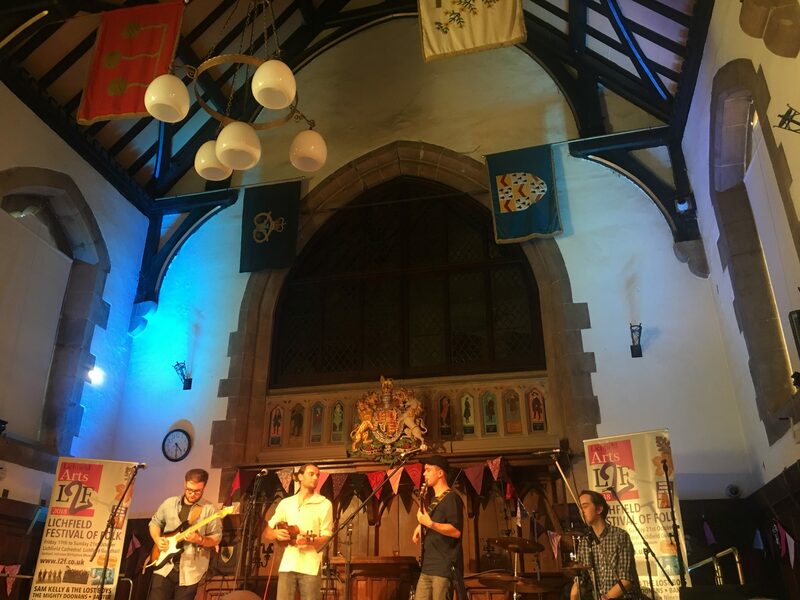 Their unique line-up of fiddle, electric guitar, bass and cajon means they slip effortlessly from heavy riffs to fiery fiddle tunes, or from smooth improvisation to klezmer. 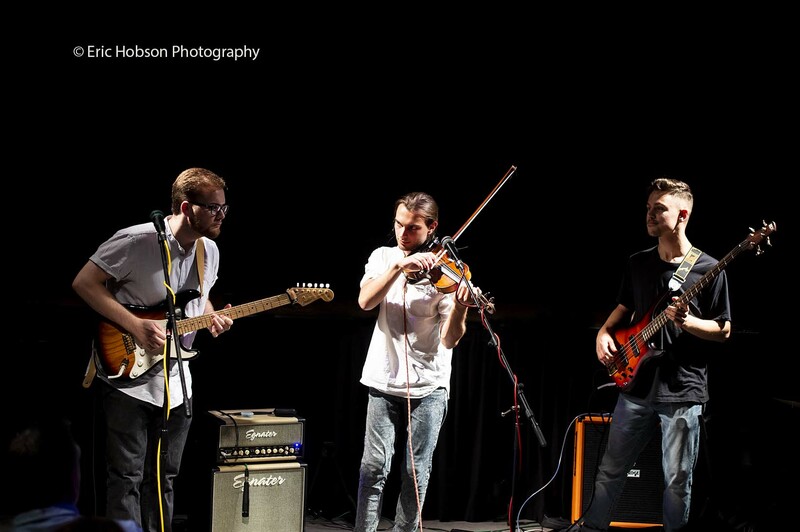 Meeting at the prestigious Royal Birmingham Conservatoire, each band member brings a unique palette of sound to the band. 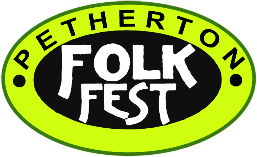 Seth Bye (fiddle) has been performing on the folk music scene for many years, bringing the foot-stopping fiddle tunes to Gathering Tides. 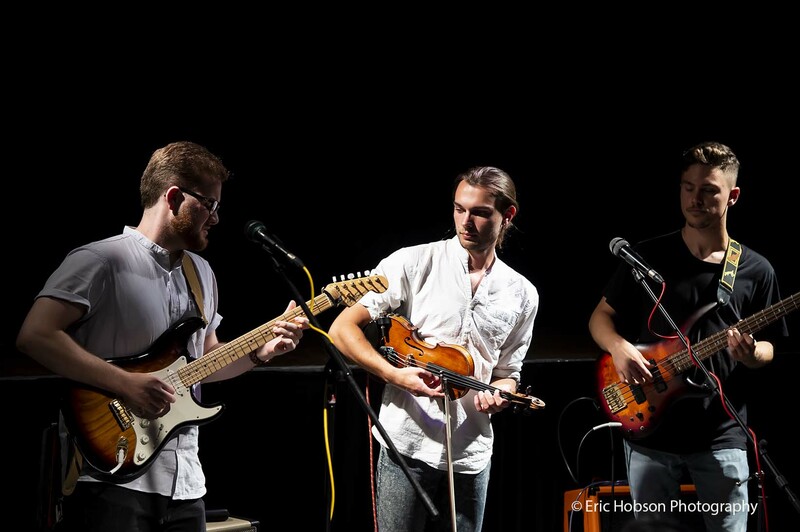 Sam Baldwin (electric guitar) has roots in progressive rock music, bringing power and drive to the band’s sound. 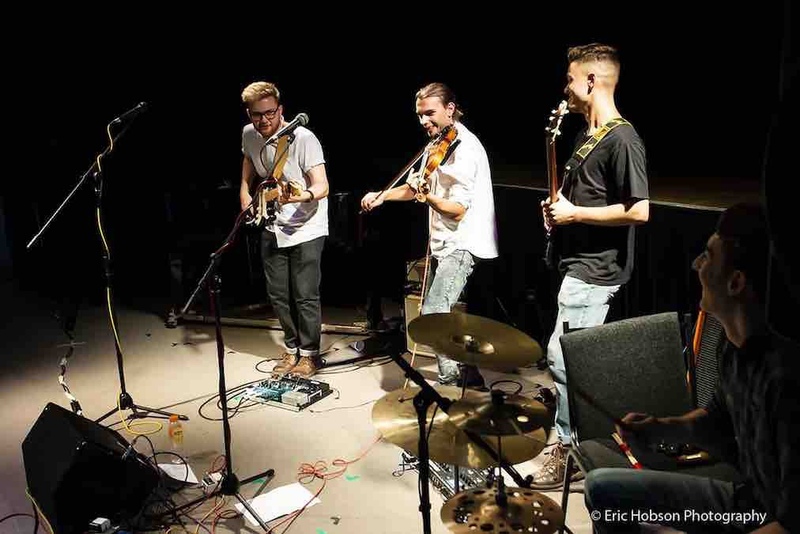 Dan Cippico (bass) has a wide compositional practice, including electronic recording, free improvisation and song writing, he brings the jazz and feel-good vibes to Gathering Tides. 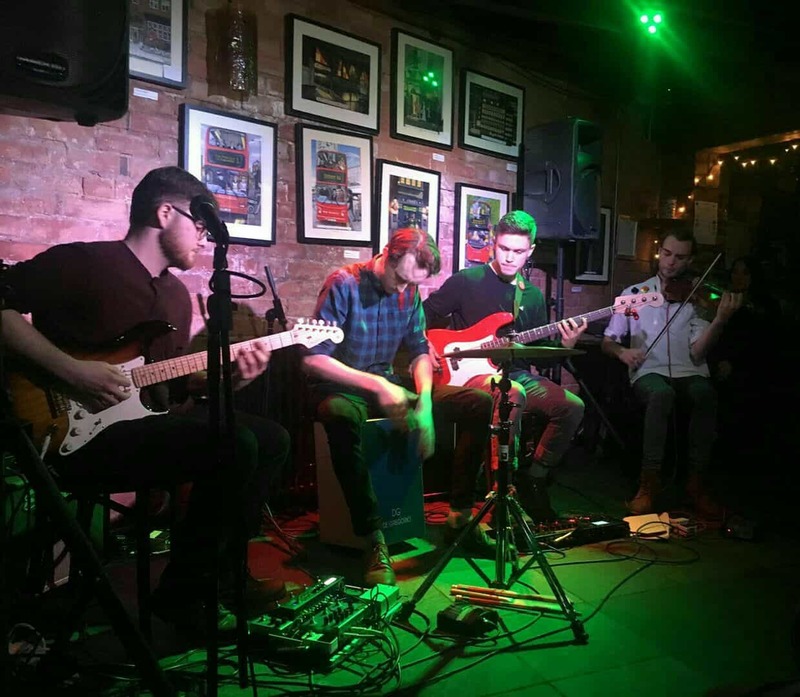 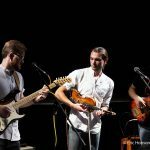 Alexander Henshaw (cajon) has a passion for funk, folk and samba music, bringing the groove to the band.